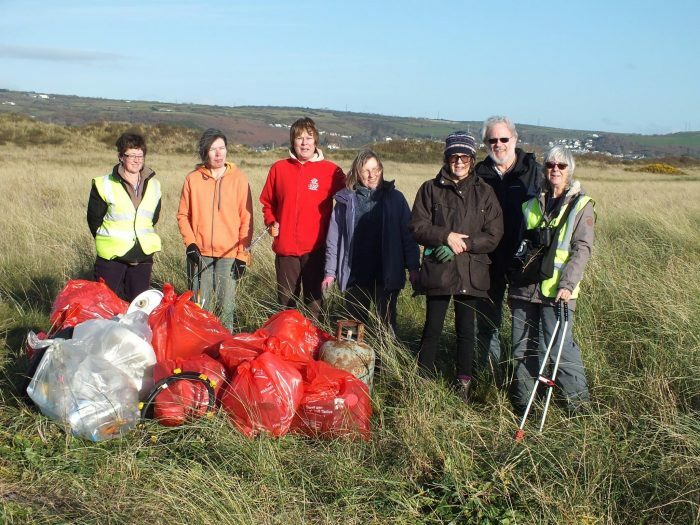 Twice a month on a Monday morning, if you visit one of a number of wildlife areas in and around the South West Wales town of Llanelli, you are likely to see a dedicated band of volunteer litter pickers. Trixie Evans (seen here on the left) and her fellow volunteers are passionate supporters of wildlife and have a strong belief in the importance of being able to enjoy the wonderful surroundings of this fabulous part of the Welsh coastline. Unfortunately there are still too many people who don’t have the same pride or care about where they live, leading to the discarding of all sorts of litter. 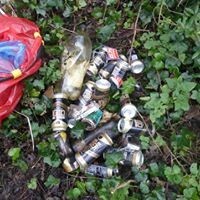 This is litter that is not only unsightly but which can also be of danger to animals, both domestic and wild, as well as being a potential hazard to children out playing. Trixie was first alerted to this issue when walking around her local pond and park area, and became so appalled at the rubbish that was being dumped that she started to take matters into her own hands; armed only with gloves and a plastic bag she would pick up broken bottles, drinks cans, take-away cartons and all manner of other items. The potential harm to local wildlife became evident; a discarded crisp packet is soon home for a field mouse that can quickly suffocate and die; the sharp edges of broken drinks cans and bottle are an obvious danger; synthetic fishing line and plastic rings from drink cans will soon trap the legs of a swan or an unsuspecting hedgehog. Fortunately, Trixie was not alone in being concerned about the impact that litter and rubbish can have on the local environment. Through connections with Keep Wales Tidy and Pride in Your Patch, Trixie became an official Litter Champion, meeting up with other like-minded people, concerned to do their bit to keep our open spaces precious and wonderful for all to enjoy. And so the Wales Wildlife Watch Litter Picking Group was formed. The decision was made that the focus would be on those areas where wildlife was at a premium, so that includes pond areas, local beaches, woodland area and canals. What they all have in common is that they are locations where people share the space with a wide range of wildlife habitats, both fauna and flora. Litter picking is carried out twice a month for up to two hours, and is led and organised by trained leaders, Trixie among them. The group of regulars now numbers around 10, and we are often joined by people who have seen a Litter Pick advertised in their area, including at times parents and their children who are sad about the mess and are being taught in schools about the environmental impact. 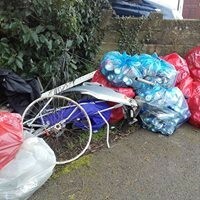 Unfortunately the need does not appear to be diminishing, with our haul regularly including supermarket trollies, discarded bikes, not to mention bottles and cans. Wales Wildlife Watch signed up for Llanelli Rural Time Credits in October 2016, and although we would all be concerned to keep our area litter free, earning Time Credits is a way of acknowledging the great work being done by Trixie and her fellow volunteers. Members of Wales Wildlife Watch have enjoyed using their Time Credits at a range of places, from the National Botanic Garden of Wales in Carmarthenshire, to Castell Coch in Cardiff with watching some rugby at Parc Y Scarlets, Llanelli in between! Being part of Spice has been important to draw more people into the group and to widen our potential audience; we also take the opportunity to put on events and activities so that people can find out more about our work. Going forward it is our intention to have Activity Mornings aimed at children, where they can come along with their parents / guardians, spend Time Credits and learn more about some of the local wildlife and think about the impact of discarding litter.